Myself is wearing the costume and for the most part it is home made. I came across a few inspirations online. One of which was entered in one of your previous contests. The eel shawl has been done before but I think I amped it up a bit. 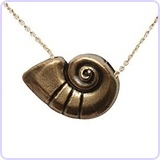 The eyes and fins light up (along with my shell necklace). There is a zipper access in the back with a pocket to hold my ID and money (for outings at local bar contest. This is also how I access the lighting. Now a days you can find incredibly small battery operated lights at local craft stores, in the wedding sections (fairy light strings and individual lights that are twisted on).For the eyes I cut a ping pong ball in half and put a black dot in the center. I then folded the fabric around it for lids. 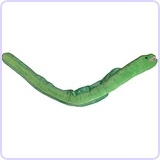 Then I hot glued it to the face of the eels. I came across the perfect black fabric, in May this year. It was basic black but had an iridescent rainbow pattern on it. I looked like bubbles had landed on it and then they were popped and the soap residue was left. It was last years Halloween fabric so I had to request/ship what was left from surrounding stores. I cut the shape I was trying to achieve out of thin cardboard (you reverse the shape on the second cut). This way I could get roughly the same shape for all 8. I ran into a stability factor and had to sew plain black to the back of each shape along with batting. Instead of One strip of black and one strip of purple making a pillow shape, I cut 2 shapes of black and a strip of purple, making a some what of a triangle shape. This is what makes my tentacles more unique then anything I have seen so far on line that is home made. There is a little bit of wire in them but for the most part they stand up themselves (string stops them from listing to the side). They are very heavy! I thought I could since a belt tight enough, but they would start to fall down. I used pex pipe (flexible pvc pipe) to help hold the weight. I curved the pipe as best as I could and strung the belt through the pipe. Each tentacle has 2 loops and they loop over the pipe. For additional support I had to create straps coming down from my bra that click into clasps, creating a harness. I haven't weighed them but I think they are 30 to 40 pounds. Then I cut pool noodles and foam pipe insulation into little doughnut shapes, painted and glittered them, and carefully hot glued them on. There are 152 suction cups! The water skirt is a tule skirt you put under a wedding dress to make it "poofy". I found this at a local thrift store, its not my size but I just cut along the back seam until I could pull it up. I sprayed it blues, purples and greens. I also added yarns and tubular mesh ribbon for seaweed. And Fuzzy pipe cleaners folded into star fish. I glued and sewed in more tule in various places. 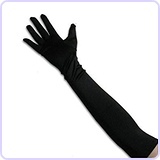 The gloves, leotard, and corset were bought online. I did ad a fringe of the black fabric to the end of the corset to cover the belt/pipe. I Ratted and sprayed my hair. I used the schwartzkopf hair products, Got2glued, to keep my hair up. For my make up I used various Ursula makeup tutorials on youtube.I spent many hours sewing, I would listen to 3 movies in a row and I still would not be done. I lost track somewhere around $600 in the cost of making this costume. You did an am@zing job! I love it!! what did you use as the "suckers" "doughnut shaped" things on the underside of the tentacles? Look great! it was pool noodles and foam pipe insulation from a home improvement store, cut into doughnut shapes and painted purple, hot glued on. This is by far the best Ursela costume I have ever seen! I am dressing up as the Sea Witch this year for Halloween and I would love to create something this incredible, but I am nowhere near as skilled. How much do you think it cost you all together to create this look? Love the costume. Want to make one,how did you do the legs? Is there a pattern i can use or make? 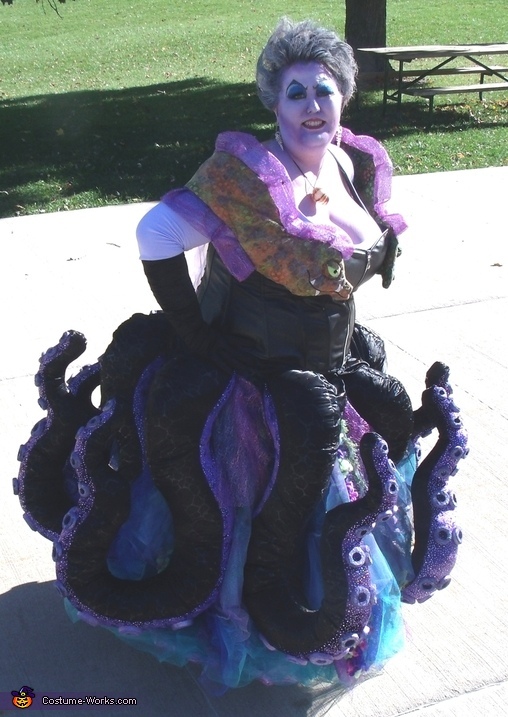 I'm making my own Ursula costume for this Halloween, and am having the hardest time figuring out how to get structure to my tentacles like you do. Do you have any tips? I don't think I'm cutting them out right since they aren't curved up like yours. Thank You so much! I'm a professional theater costume designer. 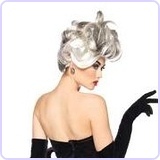 Your Ursula costume is exceptional. Do you rent it? 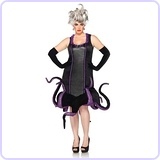 I'm interested in the tentacle and under skirt pieces; but willing to rent the entire costume. I'm in Massachusetts and have excellent references if needed. A quick yes or no response would be appreciated; I'm on a tight timeline. Can you give me a pattern or some pointers? I was wondering how long your tentacles are? I would appreciate it if you were willing to share any of the measurements on the legs. 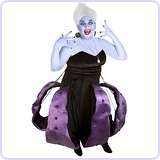 Out of all the Ursula costumes I've been looking at for the last month this is by far the best! Want to sell? I would LOVE to buy this costume!!! Hi there. You look amazing!! You gave me the inspiration for my costume this year... Just wanted to say thank you for the posting.. Ofcourse my costume is not as elaborate.. Had to schelp it to Vegas...still it did get photo mobbed. Will be waiting for you to post another costume.. You have a lot of talent can't wait to see you top this great creation!!!! This is AMAZING! Your Ursula is THE BEST out there. I am currently costuming The Little Mermaid at our local theater and I am in love with this version of Ursula. Outstanding. I'd love more info on the tentacles. Great job!